DH90A DRAGONFLY c/n 7560 (NZ registration ZK-AFB)was built in 1937 by the de Havilland Aircraft Co Ltd, at Hatfield, England and fitted with Gipsy Major engines (Series 1). It arrived in New Zealand at Lyttelton, and was transported over the Port Hills in a crate to Wigram to be assembled. Capt. Bert Mercer, founder of Air Travel Ltd based in Hokitika, flew the aircraft across the Southern Alps to the West Coast. It flew with Air Travel until it was sold to the Canterbury Aero Club on the 7th November 1946 for £2500. The Canterbury Aero Club used the aircraft for charter flights, parachuting, and as an air ambulance. After a series of owners, Capt. Brian Chadwick purchased ZK-AFB from Arthur Bradshaw of Nelson in May 1961. 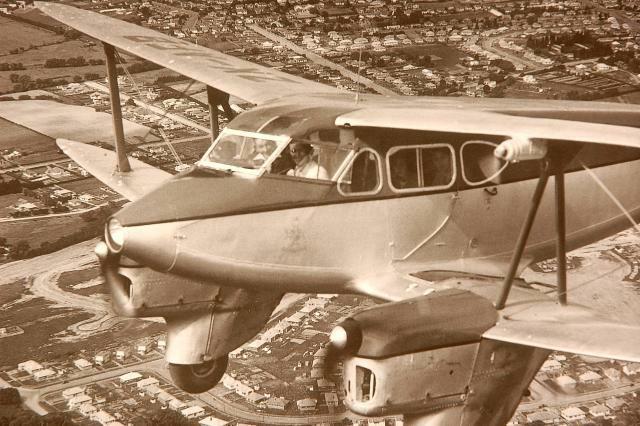 The plane was fitted with two 4 cylinder, 130HP, Gipsy Major engines, and had a fuel tank behind each engine with a capacity of 30 gallons each. 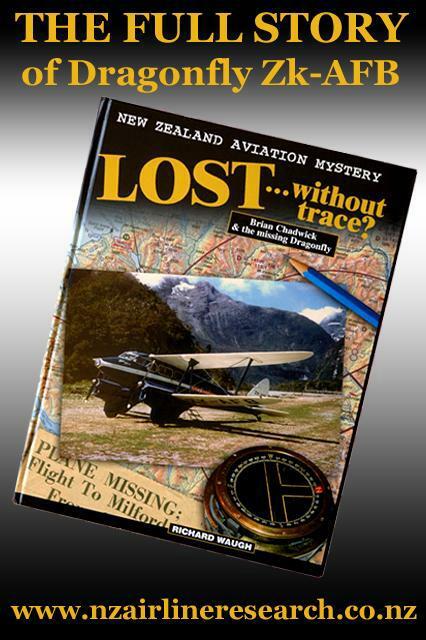 By the time ZK-AFB took off on her fateful flight from Christchurch to Milford a third fuel tank had been fitted into the fuselage. There was accommodation in the airplane for 4 passengers and the pilot.